Victory becomes, to some degree, a state of mind. Know ourselves superior to the anxieties, troubles and worries which obsess us, we are superior to them. 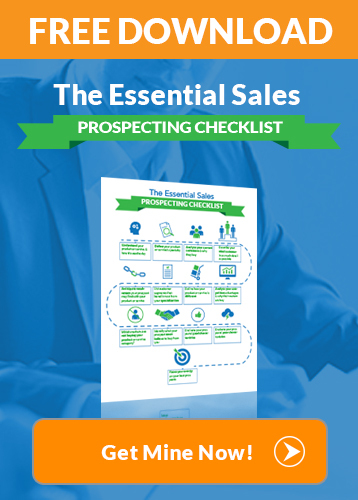 Throughout your sales process, objections are like signposts. They lead you step-by-step toward closing the sale. The fact is, if there are no objections, there is no interest. If there is no interest, there will be no sale. The more objections you get throughout your sales process, the more likely it is that you are moving toward actually making the sale. The key is to use problem solving techniques and know how to use those objections to your advantage. My instant-reverse close, is just the closing technique you need to guarantee a sale. You can use the instant-reverse close in a variety of situations. 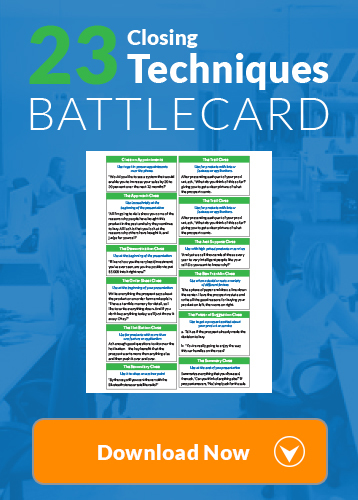 It is a fun close to use and very effective throughout your practiced sales process. You can use it on your children and with your spouse. You can use it on both clients and prospects. A friend of mine told me that he doubled his income in less than one year when he learned how to use this close after one of my many seminars. This gives you a few seconds to use different problem solving techniques and think up a logical answer to this question. “Well, yes,” says the prospect. “Then that’s exactly why you should take it today. Because of this special promotion, you can get it cheaper today than at any other time. There is no hookup fee, and you won’t have to start paying until the first of the next month. The fact that you don’t feel that you can afford it is exactly why you should take it today.” Homeowners signed up by the hundreds. A multimillionaire friend of mine who started in sales began conducting free lectures to introduce people to his three-day, wealth-creation seminar. In his talk, he would point out that no one ever got rich working for someone else and that there were several routes to wealth that a person could follow if he learned and practiced them. By now, everyone in the audience was interested to hear what he was going to say. The answer was so logical that it was almost irresistible. Everyone in the audience who was sitting there thinking that they could not afford to attend the seminar suddenly realized that they had been working for years and they were still broke. If they didn’t take this seminar, which was guaranteed anyway, they might still be broke ten years from now. At the end of his lecture, people lined up to enroll in his seminar. Remember, in using the instant-reverse close, you don’t have to have a great follow-up answer. The whole purpose of saying, “That’s why you should take it” is to break the prospect’s preoccupation of the entire sales process. It is to get him to wake up suddenly and pay close attention to you. Objections are a standard and predictable part of any sales process. Your job is to be patient, polite, and positive, asking good questions, listening intently to the answers and using effective problem solving techniques. If you are courteous and persistent, eventually the prospect will tell you why he might be hesitating and give you an opportunity to answer his question and close the sale! Thank you for reading this article on how to sell using the instant-reverse close technique. 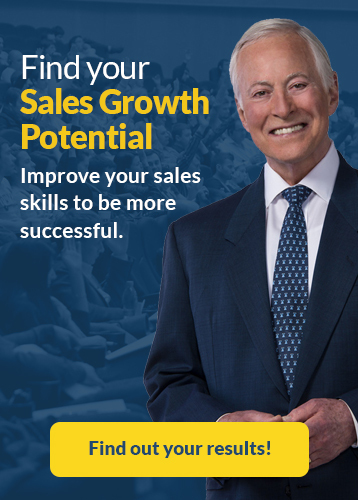 By implementing this close into your sales process with any other sales techniques that you have found effective, you can double your sales faster than ever! If you enjoyed this article, please share and comment below!